All Aqua Expeditions tours, river cruises, expedition cruises, and adventure trips. Find the best guided trips and expert planned vacation and holiday packages. 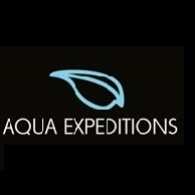 Average rating of 0.0 for all Aqua Expeditions trips. River Exploration and Fishing Trip at Moringo Lake. Enjoy a tour by skiff of the Yacapana Isles, the “Isles of the Iguana”. Visit Madgalena Village and her giant water lilies and meet the Cocama Indians of Puerto Prado. Travel down the Ucayali River spotting monkeys and learn about the Amazon River headwaters. Probe deep within the Nauta Caño within Pacaya-Samiria Reserve, known as the mirrored forest, fish for piranha in Charo Lake and learn about sustainable resource management projects in Amazonia.